To a majority of people, post traumatic stress disorder (PTSD) may be something associated with extreme cases of trauma such as being exposed in war or other violent settings. 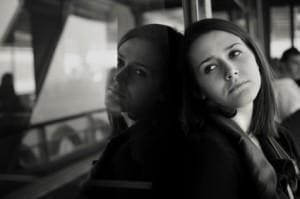 While most cases may be linked to these circumstances, PTSD can be brought on by other types of traumatic events and will depend on how the person reacts to the stimulus. Making matters worse is the fact that this condition is not only limited to adults but may include the children who are at a very fragile stage in life. An overview of PTSD is presented here give the ordinary person a general idea of this common condition. Posttraumatic stress disorder (PTSD) is a condition that is manifested by certain mental reactions as a result of a traumatic event which the person may have experienced or witnessed. These events may come in the form of natural disasters, physical or sexual assaults, accidents, death or injury of a loved one, emotional abuse, and war-related events. The occurrence of a traumatic event may lead to a person feeling afraid, angry, confused, helpless, and other responses. A person may feel that his or her life is in danger or that of other people and these events are beyond one’s control. PTSD may develop if these feelings do not go away after a certain period of time and may negatively impact a person’s life in many ways. A person with PTSD may manifest this condition in a number of ways such as exhibiting emotional and physical reactions when the event comes to mind. The person may demonstrate excessive sweating, heart palpitations, and a great fear of being in danger. Other indications would include lack of concentration, irritability, jittery, anxiety, feeling of numbness, easily startled, and sleeping difficulties. The person may deliberately avoid activities, places, thoughts, people, or feeling that may be seen as associated with the event. The sufferer may lose interest in things and activities that were sources of enjoyment before; he or she may feel isolated and detached from friends and family; and will always seem to be upset. Suffering from PTSD can have a very devastating effect on one’s life. Its impact cuts across all facets of a person’s life from social, financial, emotional, and physical aspects. Relationships with spouse, friends, and family have been destroyed or strained. The symptoms may only worsen the person’s physical and mental well-being to the point that the individual cannot function properly. It is not uncommon to see these people turn to drugs, alcohol, or any other harmful habits. It is very heartening to note that this issue has been given the proper attention by medical and health community and we note now that cases of PTSD have been effectively addressed to a point that sufferers may able to resume their way of life. Once this condition is confirmed by a competent professional, the proper treatments may be applied. Counseling has been found to be very effective in dealing with this problem and this can be reinforced with medications if necessary. Getting the assistance of health providers experienced in this type of disorder at the earliest possible time will surely be beneficial.